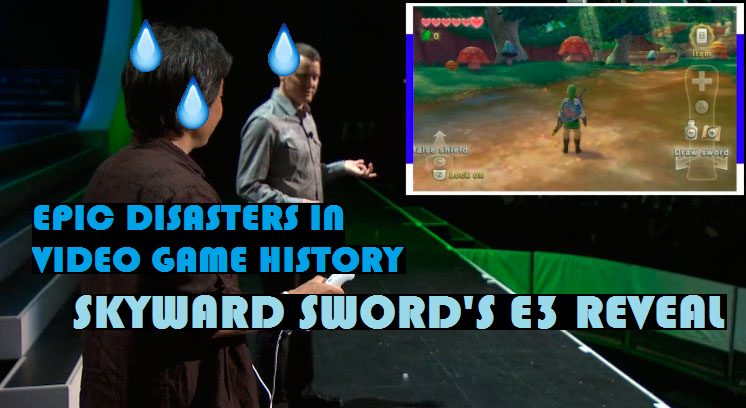 Epic Disasters in Video Game History: Skyward Sword’s E3 Reveal! The way that a developer announces their game to the world can go a long way towards making or breaking the success of that game. Games that have just a quick press release from the developer saying “coming next year!” are probably going to be met with little fanfare as little fanfare went in to making the game seem like a big deal. Conversely, a game that’s had a bombastic reveal, maybe a huge trailer or a press conference dedicated to it, will seem like a much bigger deal than it maybe is. It’s all part of the hype game. Get people excited. Get people talking. Crowd goes absolutely wild. Grown men are crying. Start the engine, cause the hype train is rolling. THAT, my friends, is how you reveal a video game. So how did it all go so wrong just six years later? The Legend of Zelda: Skyward Sword should have been a crowning achievement for Nintendo. The next massive Zelda title on their most successful system that would usher in the Wii Motion Plus and finally show how tight motion controls could be. It could probably even give the Wii a bit of a boost in its final years too, since the console had been slagging a little bit in recent years. 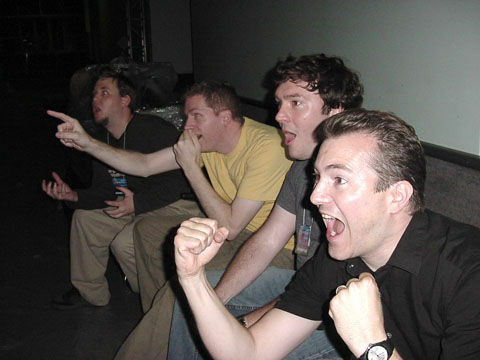 Nintendo must have thought that after the success of Twilight Princess, and with even more Wii consoles in people’s homes, they had another touchdown throw on their hands. Unfortunately, they not only fumbled the ball, but they picked the ball up, ran, and scored a touchdown for the other team while they were at it. Conventional wisdom says that the big problem was the tech demo of the game, which it was, but the problems started much earlier for Nintendo that day. Whereas Twilight Princess had its trailer at the tail end of 2004’s conference, giving it that main event aura, Skyward Swords’ trailer kicked off proceedings in 2010. Right off the bat, Skyward Sword feels like a lessor deal than Twilight Princess was. 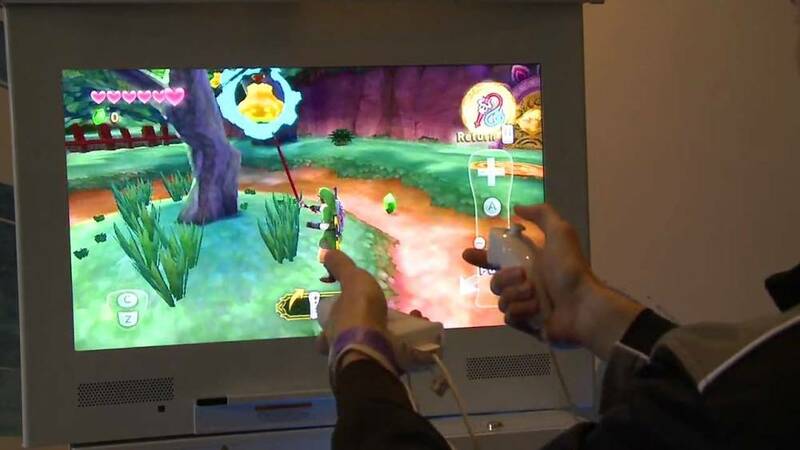 Likewise, where as the Twilight Princess trailer had more of a cinematic narrative to it and left fans wanting more, Skyward Swords’ trailer was built ENTIRELY around the motion controls of the game. Nothing about the trailer is particularly exciting, except ironically for the intro, where you see shades of Zelda past before the trailer proper starts off. So what we have so far is an bad trailer in the wrong spot kicking off the show. This would probably be survivable, until the infamous tech demo happens. First and foremost, it’s incredibly boring, with Mr. Miyamoto and Bill Trenin, who after about a minute in starts to realize nothing is working and looks like he wants to run to the nearest bar and order a double whisky sour, standing there giving us a slow, plodding demo of Link’s sword movements. This is where the s*** really hits the fan. Instead of Link swinging his sword in tune with Mr. Miyamoto’s Wiimote, Link looks more like your great aunt waving her cane around after she’s dipped into the liquor cabinet on Christmas. This bungled demo goes on for fif… teen… minutes. The crowd, silent and confused, seems to breathe a sigh of relief when the demo finally ends, as I’m sure everyone at Nintendo did that day. We would later learn that infrared from the cameras had made the Wii Motion Plus sensors go bonkers, thus the shaky performance, but the damage was done. Skyward Sword carried that stigma for the rest of its shelf life, and indeed, carries it today still. Skyward Sword is probably my second favorite Zelda game, so I don’t want to be misunderstood as attacking the motion controls here. I think they worked fine and well. But the selling point of Skyward Sword should have been the origins of the Master Sword, the beginning of Hyrule, and not how the game controlled. To this day, “motion controls” is a dirty word to a lot of Zelda faithful. I also don’t think it’s a stretch to say that Skyward Swords’ sales were impacted by it. Look, I know that it came at the tail end of the Wii’s life cycle, but this is a system that sold one hundred million units. 3.95 million units sold is nothing to scoff at, but it’s a soft number for such a big franchise with such a large install base, especially when you compare it to Twilight Princess’s 7.15 million units on the Wii alone. Revealing a game can be a tricky art. Do you wait until it’s playable? Do you just let your fans know you’re working on it? Do you you slowly leak details until it’s ready to go? Far more qualified people than me can make those calls, but one things for sure: whatever the proper way to reveal a video game is, it was the opposite of Skyward Sword. And that’s a wrap! Get ready as next time we’re going to examine the troubled history of a game that lived in developmental hell for years, finally saw the light of day, only to be dragged back down to hell after it’s release! Until then! If you’d like to read more Epic Disasters in Video Game History, click here. Andy Spiteri is a Senior Editor / Podcast host for Zelda Informer. You can check out his blog for more video game ramblings or follow him on Twitter.